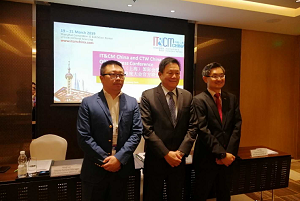 The 13th edition of IT&CM China and 5th edition of CTW China kick started in Shanghai with new initiatives that will feature throughout the 3-day event from March 19-21, 2019. Aimed at enhancing delegate’s overall experience, China’s only double bill event in MiCE and corporate travel has redesigned its business, networking and education programme that continues to lead the industry in outbound, inbound and domestic demand. Setting the tone for the show, the opening keynote address, ‘Sustainability through innovation’, underscored the significance and role of innovation in the industry’s pursuit of sustainability. The address explained how organisations in China’s MiCE industry can embrace innovation to stay sustainable and relevant in the years to come. In his welcome speech, Darren Ng, Managing Director, TTG Asia Media, organiser of the show said, “Our delegates and partners have been our constant source of inspiration in wanting to make IT&Cm China and CTW China a fulfilling annual event to set us in the right direction for the year ahead. This year’s newly introduced initiatives will enable delegates to leverage on the show’s substantive line-up to further their strategic objectives withhin the China MiCE market.” The new elements of innovation weaved throughout various content components across the show include the Exhibition Walkabout, Meet The Corporates with speed dating format, brand showcase presentation, power innovation luncheon and MiCE Innovation hub including another new highlight, Say Hi to Everyone is making a debut to the show. 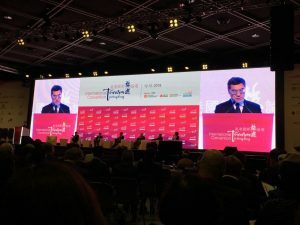 FITUR 2019 opens with a quest for specialisation and to promote key segments for the tourism industry. This year, the show contains a new B2B area focusing on MiCE tourism. This networking tool lays emphasis on incentives, meetings and business travel tourism and provides FITUR exhibitors the chance to establish contact with 100 highly-qualified international buyers. FITUR 2019 has become the global meeting point for tourism professionals and has once again become the leading trade fair for the incoming and outgoing markets of Latin America. The last edition brought together 251,000 participants, with over 6,800 business meetings. Madrid welcomed this international show with the launch of FITUR IS MUSIC, a new cultural event that was created within the framework of FITUR FESTIVALS. 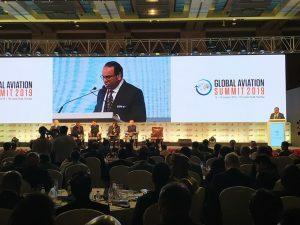 The first edition of Global Aviation Summit 2019 witnessed participation from more than 80 countries. 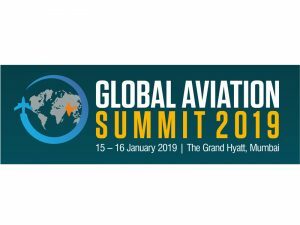 Being organised from January 15-16, 2019 at Grand Hyatt Mumbai, the summit themed on ‘Flying for All’ is touted to be the first-of-its-kind that will cover a diverse range of topics – from domestic aviation market, drone policies, infrastructure investment, freight and cargo policies, aviation financing and much more. It has attendance from more than 100 global CEOs, 35 exhibitors and more than 1200 delegate participation. The inaugural session saw keynote speeches by Sandip Somany, President, FICCI; R N Choubey, Secretary, Ministry of Civil Aviation; Dr. Olumuyiwa Benard Aliu, President of the Council, International Civil Aviation Organization; Suresh Prabhu, Minister of Civil Aviation and Commerce & Industry; Devendra Fadnavis, Chief Minister of Maharashtra; and Jayant Sinha, Minister of State for Civil Aviation. 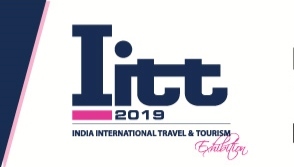 The sixth edition of the three-day India International Travel & Tourism Exhibition (IITT) kicks off in Mumbai’s MMRDA Grounds in BKC today. The exhibition has over 500 exhibitors from more than 25 countries showcasing their products and services. IITT 2019 will be driven by its content which includes workshops, training academy, speed networking lounge, panel discussions, and much more. IITT has also associated with Cox & Kings which has created specially-designed experiential zones for visitors. Day one will have an expert panel discussion on developing new destinations through film tourism with travel specialists such as Karan Anand, Head – Relationships & Supplier Management, Cox & Kings sharing their perspective. Day two will see many more business sessions focusing on diverse topics such as cruise tourism, outbound MiCE and data privacy. 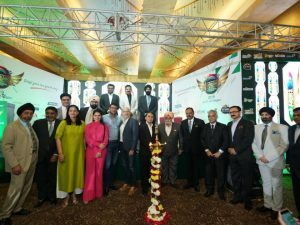 The key sponsors of the exhibition includes Powered by Partner – Cox & Kings, Partner Country – Indonesia Tourism, MICE & Wedding Destination Partner – Sri Lanka Tourism, Host State – Maharashtra, Partner State – Kerala, Platinum Sponsors – Ark Travels, Akquasun Group and Club7. Some of the featured countries include Bhutan Tourism, Malaysia Tourism & Fiji Tourism. Apart from them, the other key partners on the board are Guideline, dnata, Yatra, Urvi travels, Ottila and many more. 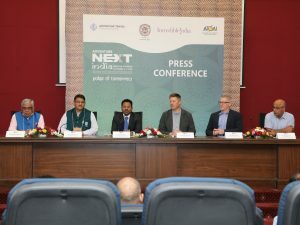 The India Tourism Mart (ITM), organised by the Federation of Associations in Indian Tourism and Hospitality (FAITH) and the Ministry of Tourism (MOT), will be tentatively held from September 29 to October 1, 2019, announced Subhash Goyal, Secretary General, FAITH. 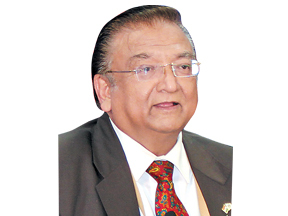 He also told that these dates are tentative, considering that any other inbound travel show like KTM as well as the National Tourism Awards would not clash with the same. This year, ITM had around 250 foreign buyers in attendance with an equal number of exhibitors. He also revealed that they are expecting around 500 buyers to come for the next year’s edition as they will have enough time to plan the event unlike this time, when they organised it within 2.5 months. 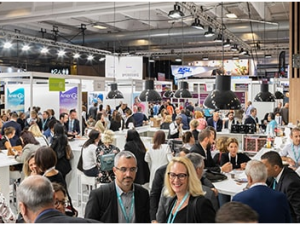 All set to be held in Paris from October 1 to 4, 2019, IFTM Top Resa will offer business opportunities, events, talks and meetings, with more high-calibre visitors attending the event. The show will feature 34,000 industry professionals, with 20 per cent of them being international; 250 different destinations in France and overseas; 10 themed villages and 1,700 brands. Besides, a total of seven key events —the Inaugural Lunch, the Travel Agents Cup, the Startup Contest, the Hackathon, the Junior Travel Agents Cup, the After TO Party and a new evening event for Business Travel professionals, organised in partnership with AFTM, will also take place. The event will also comprise over 150 talks, seminars, workshops and training sessions for travel agents.